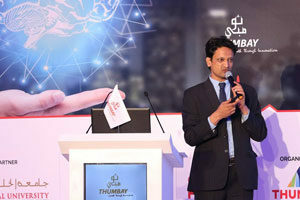 April 11, 2018. 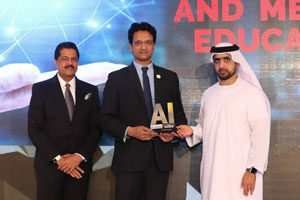 Dubai – The adoption of artificial intelligence in healthcare is on the rise and solving a variety of problems for patients, hospitals, medical education and healthcare industry overall. 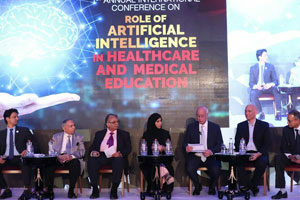 The conference drew together expert speakers from the US, UK, Switzerland, UAE, India and Australia to discuss the scope, impact and opportunities of AI in healthcare and medical education. 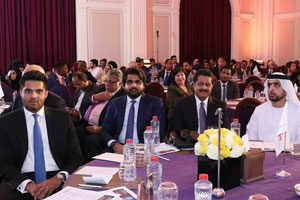 His Highness Shaikh Mohammed Maktoum Juma Almaktoum, Chairman, MBM Groups, Dubai was the chief guest of the conference. 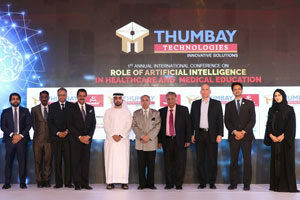 “There is some limited understanding of AI among the healthcare industry, but actually being able to implement it to solve problems and create opportunities is the real challenge,” Khalid said.